The tempo was high, the movements were imaginative as Nassarawa were attacked left and right by Osadiaye and Ibenegbu as Enyimba looked for an equaliser. Enyimba rallied tenaciously and almost caught Nassarawa United out on the break as a low drive from Ibenegbu Ikechukwu found a racing Joseph Osadiaye who laced an elementary shot to the dismay of the fans. The second half was full of thrilling moments as both sides fought very hard but many thanks to Theophilus Afelokhai’s magnetic gloves that further ensured the scoreline remained as it was. Afelokhai was called into action on several occasions by the likes of lchull Lordson, Bashir and the rest, but he really saved his side from slumping into further embarrassment on the evening. Nassarawa United ace Abdulrahman Bashir spoke to soccernet.com.ng after the game and recounted that, determination and the favour of God was the key to the palpable victory after the final whistle. “Well, I feel good and am happy for the victory over Enyimba because they are not a bad side, we went into the game with maximum determination and God cemented our efforts with favour”. “As per the final in Lagos, we have saved the date, we have a lot of plans in our head, we will do our own and ninety minute will judge”. Bashir reacted. 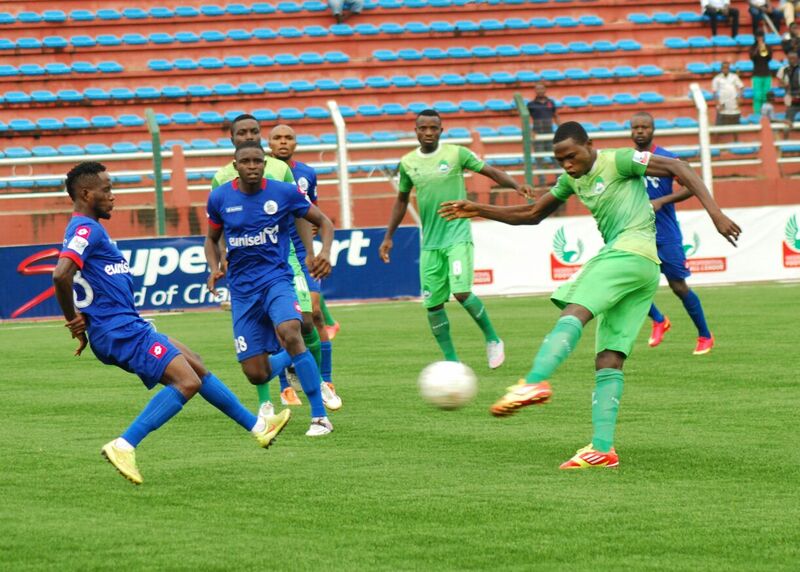 Nassarawa United are expected to play against Ifeanyi Ubah FC in the final. They will be hoping to win the cup for the first time and present the cup to Executive Governor of Nassarawa State to mark the 20th anniversary of the state.